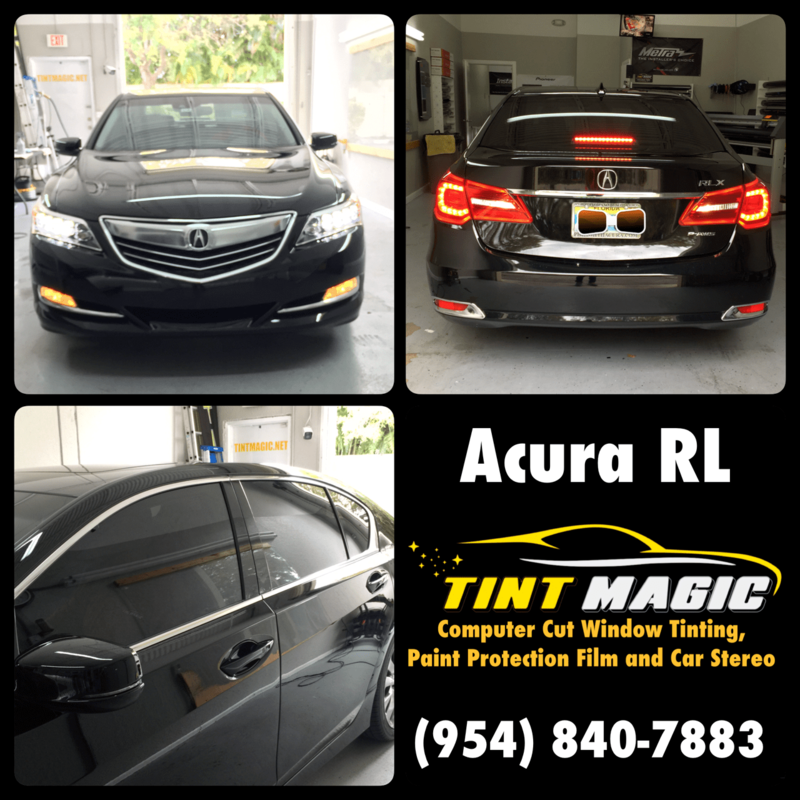 Acura RL at Tint Magic Window Tinting serving Coral Springs, Parkland, Tamarac,Coconut Creek, Sunrise, Weston, Margate. We use computer cut window tinting for a perfect fit, call us for the best quality and service! (954) 840-7883. Find us on, FACEBOOK and YELP!